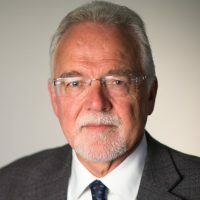 Dr. Ron Lindstrom is an Adjunct Professor, School of Population and Public Health, and Associate Member, Department of Emergency Medicine, University of BC; and, Adjunct Professor, School of Leadership Studies, Royal Roads University. He works as a Health Systems Consultant and is the Evaluation Lead, BC Emergency Medicine Network. He has extensive experience in the health system at the regional, provincial, and national levels having held a number of senior executive roles in community hospital and academic health centre environments in BC. His current focus is on integrating research and practice in the health system with interests including: inter-organizational networks; health leadership; health services planning and policy; knowledge mobilization; action research; and, complex adaptive systems. Dr. Lindstrom holds an MSc in health services planning and administration. His PhD work focused on participatory research in health services. He is a Fellow of the Canadian College of Health Leaders.